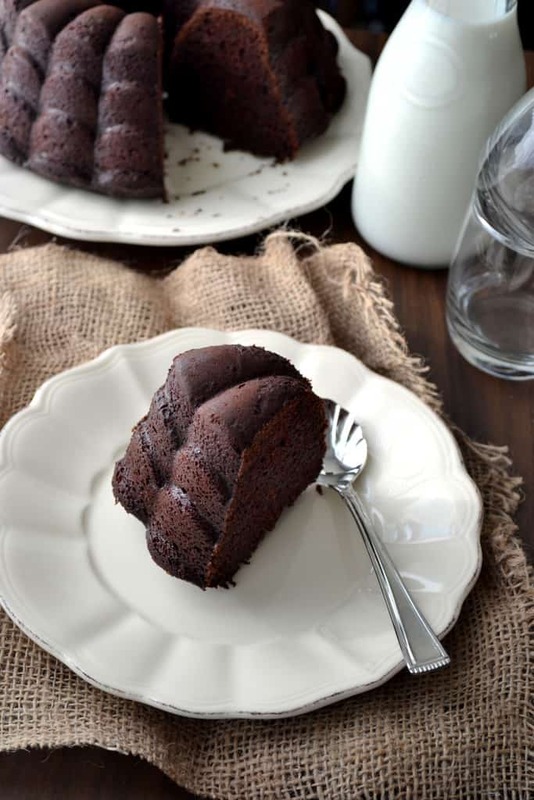 Chocolate Whiskey Bundt Cake… To be very frank, me and Mohit are not big fans of chocolate. May be I would not have made this cake if it was for us. But a lot of my readers asked me for more chocolate dessert recipes as It’s the most liked flavor for dessert hands down. What if ,we don’t like it? But I am glad I made the cake. It was deliciously rich and dense and the bitterness from whiskey was the key feature. I realized, it tasted much better the next day. The cake keeps well for 4-5 days in the fridge. 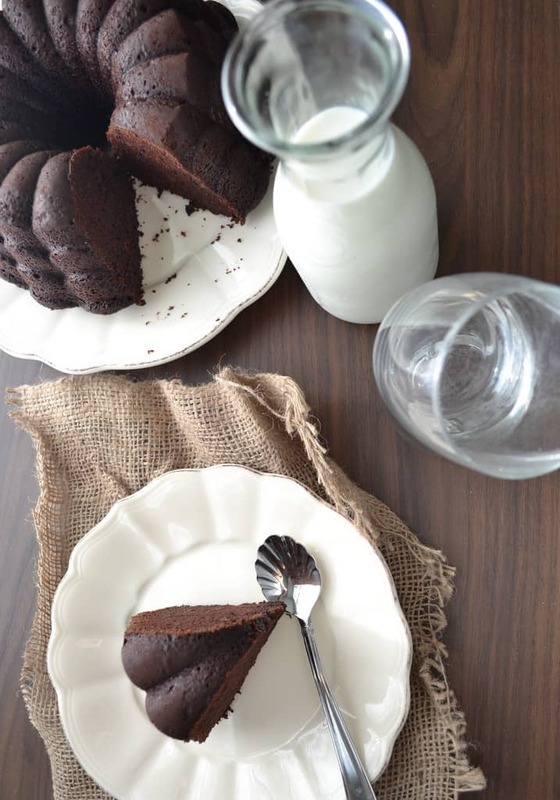 So here is the recipe to make Chocolate Whiskey Bundt Cake. 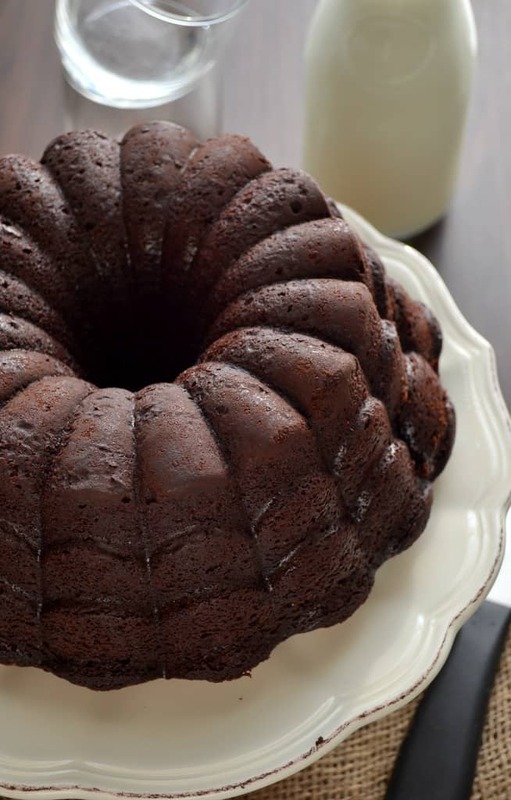 Grease a 11 cup bundt pan and dust with 3 tbsp cocoa powder. In a large pan, heat coffee, whiskey and butter and whisk till butter is melted. Whisk till sugar is dissolved. Whisk all purpose flour, remaining cocoa powder, salt and baking soda in another bowl. Whisk eggs and vanilla extract in another bowl. When the mixture is cooled, add egg and whisk well. Add the flour and whisk until just combined. The mixture will be bubbly. Pour the mixture in the prepared pan and bake for 50-60 minutes, till a knife comes out clean. Remove from the oven and cool in pan for 10 minutes. This cake tastes best, when kept for a day. Cover the cake with a cling film and leave on the counter overnight. I havent ever used Whisky in any of my cooking so far. And I dont like Chocolate in my cooking either.. /But this looks so tempting that I am willing to give this one a try. Chocolaty and awesome texture,looks tempting. 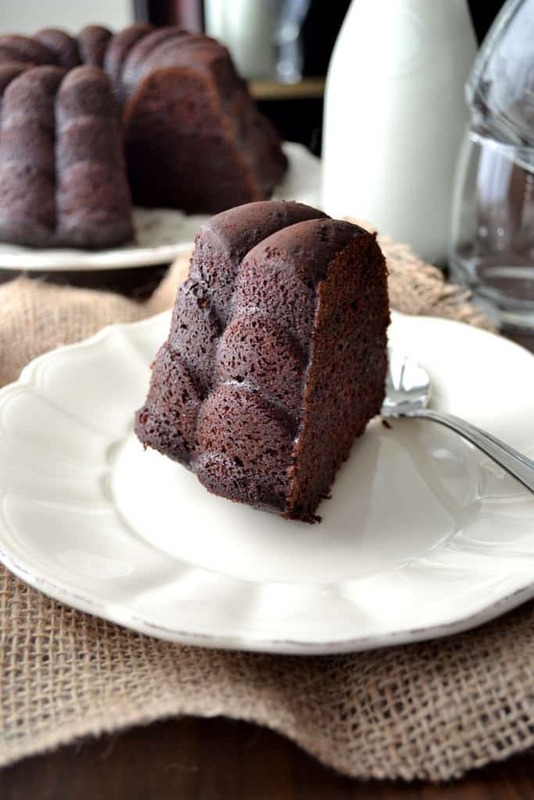 gorgeous gorgeous cake and so well shaped. love it. first time to your space & happy to follow you. That looks perfect and clicks are too good 🙂 Nice presentation!! Hi neha and how are you? I am back to blogging.. 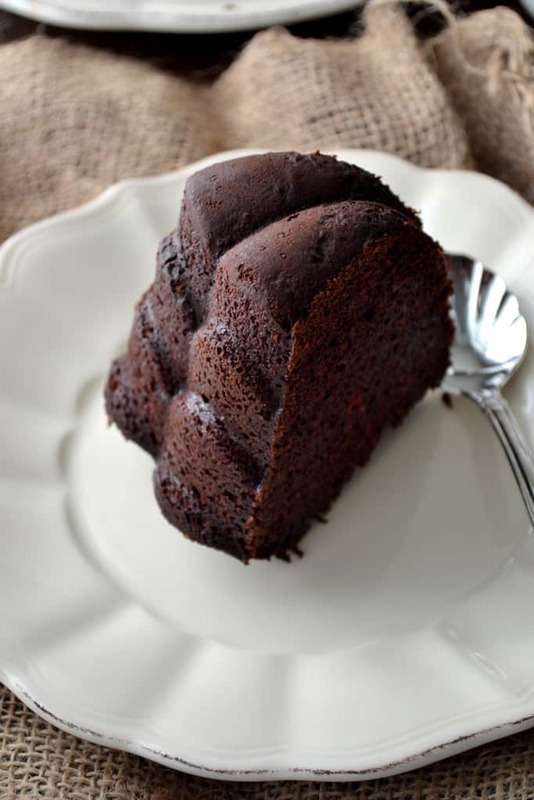 Your cake looks very rich in chocolate, sure love to eat this . have a nice day. hi – i made this cake today and i realized that you never include in your recipe when to add the cocoa. 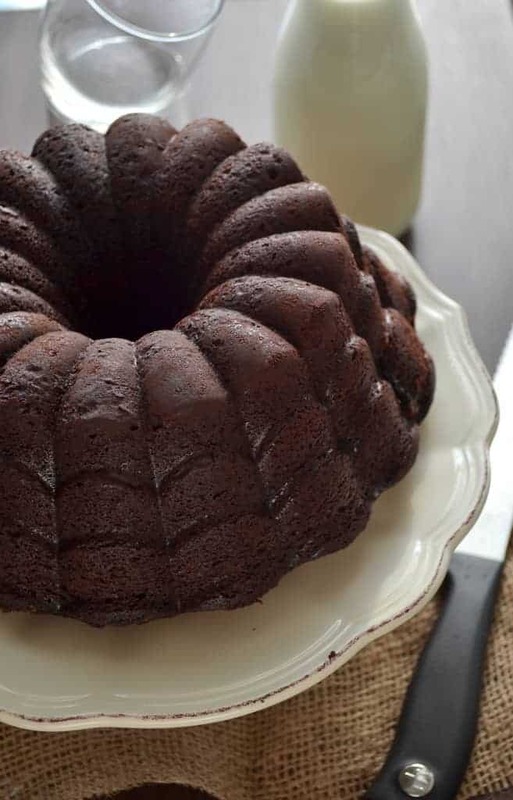 I was about to pour it into the bundt pan when i realzied the cocoa was never added ! So i just added it in the end and i hope it comes out normal. When did you put yours in ? Duby. I am so sorry. i forgot to add cocoa powder in the recipe. I have updated it now. Thnx for notifying me. I hope your cake come out good. Please do let me know.